You are currently browsing the tag archive for the ‘Dietrich Bonhoeffer: A Biography’ tag. Of the Bonhoeffer brothers, Dietrich, the youngest, was the one most drawn to try the Youth movement. His episode in the Boy Scouts was a first attempt advance to move beyond the sphere of family and school, and to discover his own areas of experience not shared by his brothers and sisters. Many of his classmates did the same thing, and he did not want to be different from them in everything. ~ Eberhard Bethge, Dietrich Bonhoeffer: A Biography (Revised Edition); Chapter 1: Childhood and Youth: 1906-1923, 33. After a short time of training, they were sent to the front. …Karl-Friedrich was wounded in the October battles of 1918, but his injuries proved to be slight. Seventeen-year-old Klaus was also called up and, after a brief period of training, served as an orderly at General Headquarters in Spa. ~ Eberhard Bethge, Dietrich Bonhoeffer: A Biography (Revised Edition); Chapter 1: Childhood and Youth: 1906-1923, 27-28. Gradually, however, the war began to have a grim impact on the Bonhoeffer family. 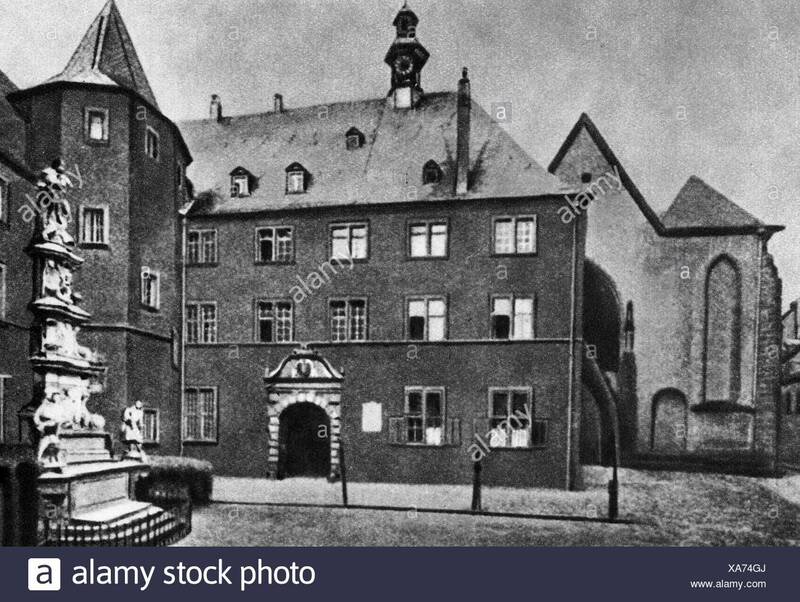 In 1914 their uncle Otto Bonhoeffer in Dussedorf and their mother’s sister, Aunt Hanna Countess von der Goltz, received bad news, and the children heard of cousins killed or severely wounded in action. As the war dragged on, the older brothers, who were still in school, approached military age. At the end of 1916 faint hopes clung to the possibility of peace. ~ Eberhard Bethge, Dietrich Bonhoeffer: A Biography (Revised Edition); Chapter 1: Childhood and Youth: 1906-1923, 26. Dietrich was eight and a half when the First World War broke out…For the younger (Bonhoeffer) children the outbreak of was was a time of great excitement. At the end of July (1914) they were hurriedly brought home after a month’s holiday in glorious weather in Friedrichsbrunn. When one of the girl’s dashed into the house shouting: “Hurrah, there’s a war,” her face was slapped. The first German successes filled Dietrich with boyish enthusiasm. When he was nine he wrote his parents from Friedrichsbrunn asking them to send him all the newspaper cuttings with news from the front; he had learned from his big brothers and at school how to stick colored pins into a map showing the advance of the front line. ~ Eberhard Bethge, Dietrich Bonhoeffer: A Biography (Revised Edition); Chapter 1: Childhood and Youth: 1906-1923, 25-26. Thus in his boyhood and youth it was that gave him a special position at school and among his fellow students. His brothers and sisters allowed him this as well. Only when he came home from a school sports meet with the victor’s laurel wreath around his shoulders did he have to put up with the taunts of his big brothers. ~ Eberhard Bethge, Dietrich Bonhoeffer: A Biography (Revised Edition); Chapter 1: Childhood and Youth: 1906-1923, 25. As a Child, Dietrich Bonhoeffer Liked to Fight! In the autumn of 1913 Dietrich, like his brothers, went to Friedrich Werder Gymnasium. Despite the scientific bent of their father and the older brothers, as a matter of course all the children, including Christine attended schools with a strong humanities curriculum. Dietrich had shown occasional signs of nervousness and shyness earlier, and was initially quite unhappy on his way to school, but this soon changed. He was put in the eighth form, and found the work child’s play. In his 1915, New Year’s diary his father wrote: “Dietrich does his work naturally and tidily. He likes fighting, and does a great deal of it. ~ Eberhard Bethge, Dietrich Bonhoeffer: A Biography (Revised Edition); Chapter 1: Childhood and Youth: 1906-1923, 24. ~ Eberhard Bethge, Dietrich Bonhoeffer: A Biography (Revised Edition); Chapter 1: Childhood and Youth: 1906-1923, 23. As a small boy he (Dietrich) once a attacked a weaker classmate, whose mother expressed the grace suspicion that perhaps the Bonhoeffer children had been raised to be anti-Semitic. Dietrich’s mother replied that that her son could not have heard of such a thing in her house. As someone capable of such violence, he was later particularly and carefully concerned about treating those in weaker positions considerately, and instilling self-confidence in them. ~ Eberhard Bethge, Dietrich Bonhoeffer: A Biography (Revised Edition); Chapter 1: Childhood and Youth: 1906-1923, 19. ~Dietrich Bonhoeffer quote in Eberhard Bethge, Dietrich Bonhoeffer: A Biography (Revised Edition); Chapter 1: Childhood and Youth: 1906-1923, 16. By present-day standards the Bonhoeffer household was conducted on an inconceivably lavish scale; but, at the same time, the parents strongly disliked personal boasting or pretension. Money was never discussed in front of the children. The country house in Wolfelsgrund was spacious and airy, but its furnishings were Spartan; later, after they have moved to Berlin, the family’s summer home in Friedrichsbrunn was wired for electricity only in autumn of 1943. If one of the children dropped a toy on the dirty floor of the railway compartment on the way to the country, their mother was capable was dropping it straight out of the window, but suggestions for improving amenities in the country were ignored. There was never any question of fashionable extravagance, either in dress or in the home. ~ Eberhard Bethge, Dietrich Bonhoeffer: A Biography (Revised Edition); Chapter 1: Childhood and Youth: 1906-1923, 16.